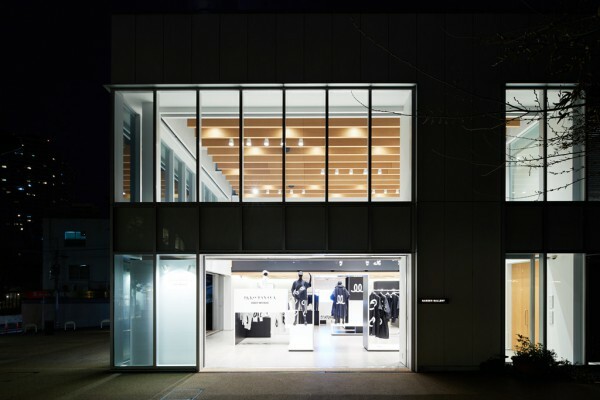 We designed the venue for the IKKO TANAKA ISSEY MIYAKE No.4 exhibition held at Daikanyama T-SITE GARDEN GALLERY. 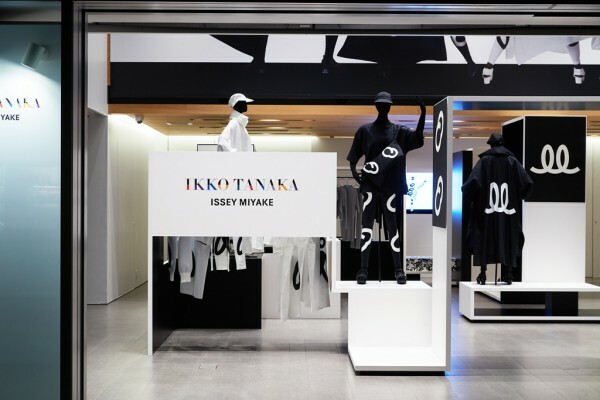 The “Continuous Symbol” series, with its characteristic monochrome and symbolic graphics, was presented as the fourth collection to use as a motif the works of graphic designer Ikko Tanaka. 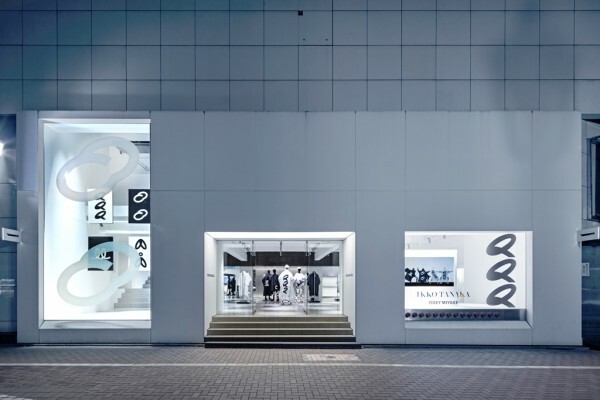 The exhibition fixtures were shaped like a 900mm wide wavy belt and configured with linear components so that the simple and humorous curved graphics would stand out. 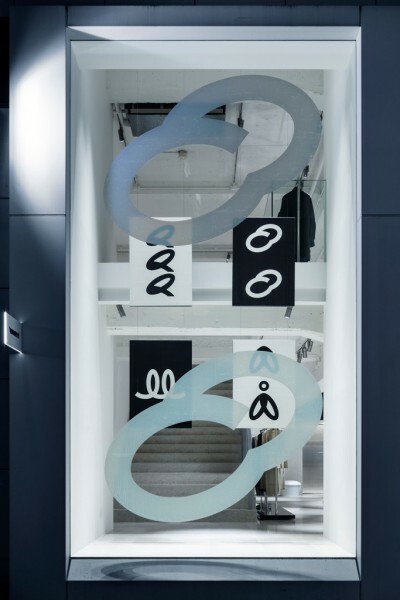 Also, we expressed the theme “Continuous Symbol” and the monochrome contrast throughout the venue by separately painting both sides black and white. 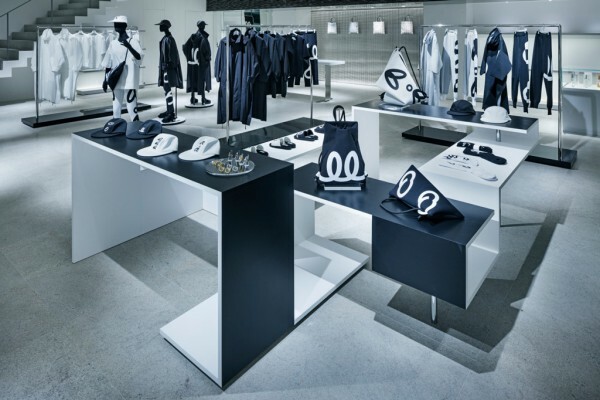 Moreover, we set the hanger racks high and displayed the works in a light and humorous way. Then we hung a poster of the original painting in an even higher position and made it possible to appreciate it simultaneously with the main visual which we had boldly printed on the second floor catwalk. We aimed to create a modulated space where each individual component - the rounded graphics, linear belt, and monochrome palette - would achieve a contrast. 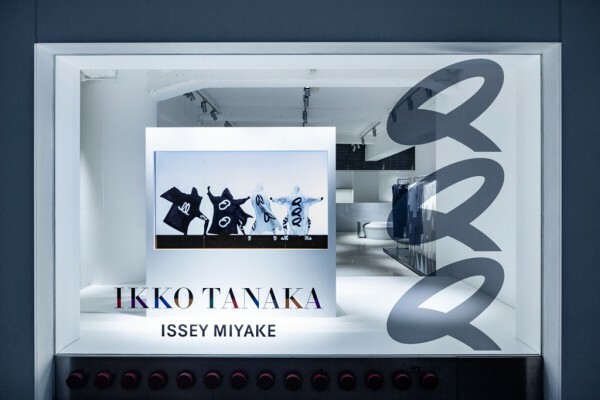 The graphics are displayed on a semi-transparent cutting sheet covering the entire window of the ISSEY MIYAKE GINZA / OMOTE street level store. In doing so we created a playful display with a poster of the original painting and monochrome shelf furniture peeking out from between the openings.